The events are held at but not sponsored by the United Church in Tallahassee. The suggested donation is $300 for the entire program or $50 per teaching session. The Dorje Drollo sadhana costs $10. Donations cover the expenses of airfare, venue rental, translation, and a group donation to our teachers. Nobody will be turned away because of money. Please preregister so that we can plan accordingly. You can preregister by emailing ddc.florida@gmail.com or calling Cameron at 850-524-2556. Dorje Drollo is the secret inner aspect of the guru, and represents the crazy wisdom aspect of enlightened mind-- wisdom and compassion beyond concept and convention. The Yangzab Dorje Drollo is a very rare and precious practice for eliminating the obstacles, inner and outer, that prohibit recognizing and stabilizing the realization of the nature of reality. 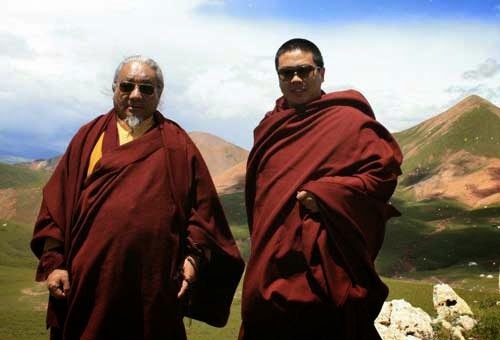 When Ontul Rinpoche was asked to teach dzogchen trekcho teachings at the Florida DDC, he agreed to give such teachings in the context of the Dorje Drollo practice. The Rinpoches will visit Drong Ngur Jangchub Ling prior to visiting Tallahassee, and DNJ as well as DDC Florida will announce that information as it is available.